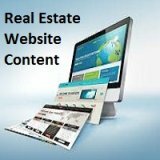 As a Realtor or agent, email marketing can be a goldmine for you, if you use it properly. You have a few options to play with but if you don't want to mess with building an email marketing "opt-in list" of your own, then renting or buying a list of email addresses is what you want to do. But contrary to what you might think, this is NOT spamming. So you don't need to worry about the marketing police banging down your door. Just like when you're using postcards to market to motivated sellers or buyers, you can find some ultra-targeted lists of prospects to email to as an agent or Realtor. 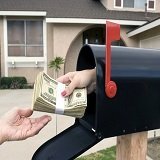 InfoUSA.com has a great online system where you can sift through 15 million consumer email address based on location, zip code, various demographics, income ranges, etc. It's perfect because this is exactly what we need to do as Realtors and agents when we're planning any kind of marketing. 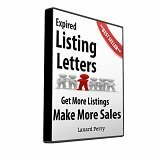 Now, the reason this type of email marketing isn't spamming is because the list you're purchasing or renting should be someone's "opt-in list", meaning the prospects on the list have given their information voluntarily. That list owner simply has the right to rent or sell their list if they disclosed that in their Privacy Statement. You need to be extra careful about the list owner or company you're using for this type of email marketing because you can get burnt like this morning's toast, if you're not careful. You can do a Google search for something like "rent email lists" and you'll get a pant load of results. Many are terrible, some are good. Some will take your money, say they're going to deliver your email but never do. Others actually deliver your email but their list is so old and out of date or not targeted that it's a gigantic waste of cash for you as a Realtor or agent. The first company I'd say to go with would be InfoUSA. They've been around for a long time, they're reputable and they have excellent customer service (based on my dealings with them). If you like doing everything online, you can set up your entire email marketing campaign on their site. If you need more one-on-one service, you can reach them on the phone; they actually have real people who pick up. What a concept! With InfoUSA, you're technically renting their list so they handle the actual delivery of your email message. In the email message itself (that you write), I'd suggest directing them to your site for some kind of free offer (using an opt-in form similar to the one on the right side of this page) and collecting their name and email. This way you can continue to email them on your own rather than paying InfoUSA to do it every time. The kicker is that these recipients of your email message will need to hear from you more than 7 times (industry average statistic) for them to become familiar with you. What you're paying for with InfoUSA, and most other list renting companies, is a one-time emailing to their list. Industry averages for response rates on bulk emailings like this are less than 1% so you need to track your stats carefully. I'd plan on doing consecutive emailings to this same list, if InfoUSA will let you do that as a Realtor or agent. Check out how often they allow you to email the same list and if they give discounts for multiple emailings. It doesn't hurt to ask if they have some kind of special for Realtors or agents too. You never know until you ask! The only beef I have with InfoUSA isn't specific to just them, since most list renting companies are this way, but this type of emailing can be costly depending on what you're trying to sell. If you were selling a $5 trinket, I'd say it's a waste of marketing money. But in your case, you're selling a high-end service as a Realtor or agent so it'll make more financial sense for you to use this marketing technique but the money may not flow in for a while, as with any real estate deal (but you're used to that already). But if you only email their list one time and expect a mountain of business form it, you're wasting your precious marketing dollars, for sure. Bottom line, if I were trying to steer my own mom in the right direction when it came to the right email marketing company to use, I'd tell her to go with InfoUSA before anyone else. Just be sure you track the results of your email marketing, as well as every other marketing method you choose to implement. Drop the ones that stink and increase the ones that are kicking tail for you. SSU's purpose is to "Create Wealthy Agents through World-Class Marketing" by providing step-by-step video marketing tutorials, lead-generation lessons, tips, articles, recommended marketing vendors and much more.